Disclosure: Caesars Entertainment is a generous sponsor of the #JerseyLove Social Media For Social Good Trip. If you ask me, I have always been a beach person. . .however, my mom will tell you that when I was little, she had to bring a giant sheet and a whisk brush to keep the sand off me. I can recall trips with my grandparents to the boardwalk to ride the rides when I was little, family outings to the beach and a family vacation to Fortesque so my dad could fish and my brother and I could play on the beach. The beach has always been a part of my life - Senior Skip day in high school and countless weekends in Ocean City and Sea Isle when I was a young adult. And several years ago, I shared that love with my kids. We went down for the day in mid-September (my favorite time to go) and spent the morning on the beach then the late afternoon and evening on the boardwalk. They were hooked. 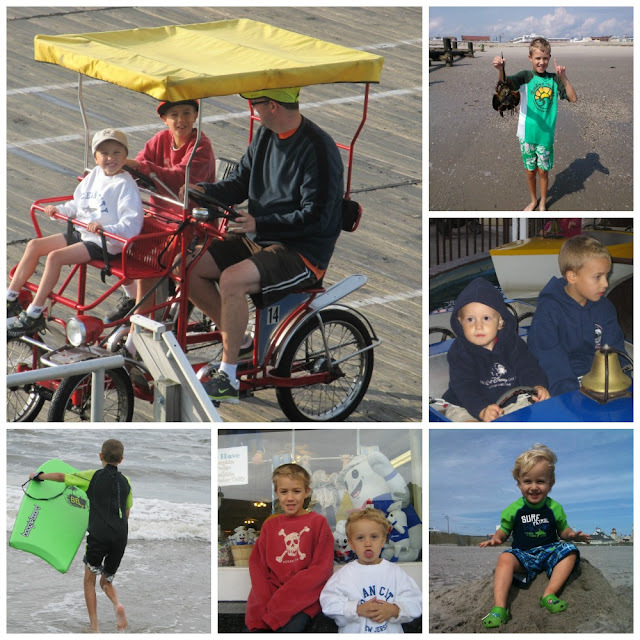 There is some magic to the Jersey Shore - the boardwalks, ice cream, salt water taffy, the Ferris Wheel, sea gulls, horseshoe crabs, sandcastles and seashells. The following year, I gave Ryan a choice for his birthday - a party or long weekend at the beach. He chose the beach. We found a great beachfront hotel and made it an overnight. The next year and ever since, we head down on a Friday morning, and stay two nights. My parents come down and stay as well. It's a great time full of fun and family memories. This weekend I am heading to the Jersey Shore with a different group and for a different purpose. 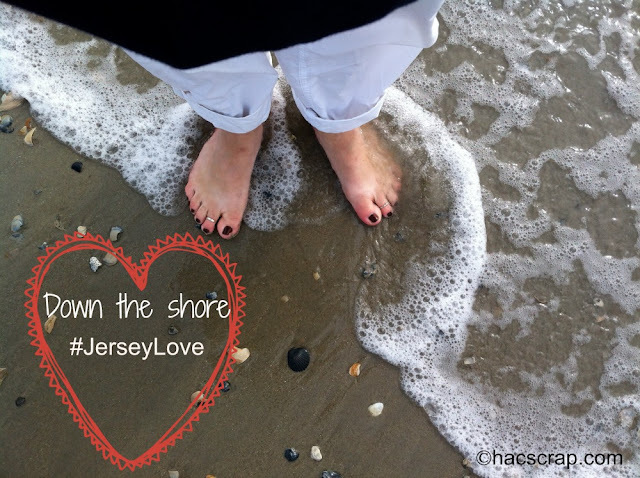 I am incredibly proud and honored to be a part of the first Social Media for Social Good Retreat, a group of 40 women from across the country traveling to New Jersey to raise awareness for and promote the re-opening of the Jersey Shore for the 2013 season. The four-day #JerseyLove Retreat is hosted by Ceasar's Entertainment and D6 Sports, and is designed to encourage consumers to visit the Jersey Shore post Superstorm Sandy. In case you haven't heard - the shore is back, open and ready for summer! I love the Jersey shore. It is always great to go it bring me back home just thinking about my New jersey roots. Great post.